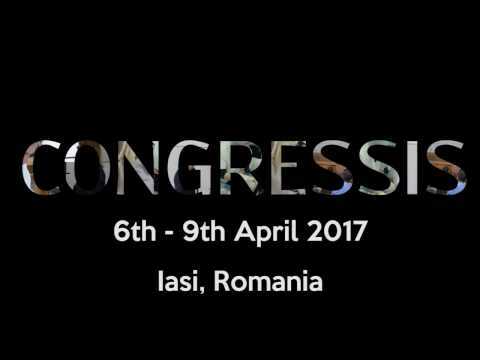 It is a great pleasure for me to welcome you to the Congress for Medical Students and Young Doctors organized by the Medical Students’ Society Iasi and the Romanian Society of Anesthesiology and Intensive Care, under the patronage of the “Grigore T. Popa” University of Medicine and Pharmacy. Congressis is at its’ 14th edition, with a consistent growth throughout the years, both from a scientific and a social point of view. Taking part in a prestigious University, with 138 years of activity, in one of Romania’s most beautiful cities –Iași, it is truly a prominent experience for all participants. You will find that the Congress reaches all domains of interest, from Fundamental Sciences to Behavior and Social Sciences, from Internal Medicine to Surgery, thus all participants will be able to attend their own field of interest. Moreover, many distinguished members of the local medical community will present comprehensive conferences and appealing workshops, which will surely be of great interest for you. I hope that you will enjoy the Congress and that your interaction with your colleagues from many different countries will stimulate a creative exchange of ideas and will be personally rewarding. I also hope and trust that you will enjoy your visit to the very beautiful and exciting city of Iași, in April 2017.